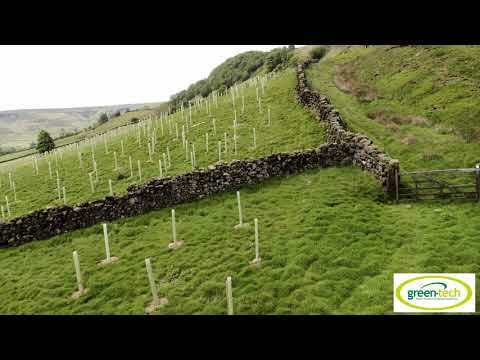 The Tubex Easywrap Tree Shelter Guard and Bamboo Support Cane Package offers all the protection required for whip tree and hedge planting to protect the plants from animals, such as voles, rabbits and hares, as well as herbicides. We offers the Tubex Easywrap as a planting package, to include 1x tree shelter and 1x cane. The Tubex Easywrap Tree Shelter Guard and Bamboo Support Cane Package offers all the protection required for whip tree and hedge planting to protect the plants from animals, such as voles, rabbits and hares, as well as herbicides. We offers the Tubex Easywrap as a planting package, to include 1x tree shelter and 1x cane.